In 1848, there wasn’t much along the Willamette River between Oregon City and Fort Vancouver. Trees had been cleared, and roads were built, but The Clearing, as it was then called, could barely be called a town. It didn’t even have a proper name. The two primary stakeholders — Asa Lovejoy of Boston, Massachusetts, and Francis Pettygrove of Portland, Maine — both had the idea of naming the new settlement after their hometown. Leaving the decision to chance, the only fair way to decide, they flipped a coin for it. Pettygrove won, and Portland, Oregon, was born. A century and a half later, we have two cities on opposite ends of the country with some differences, many similarities, and a single name. Completely coincidentally, I visited both within a matter of months. 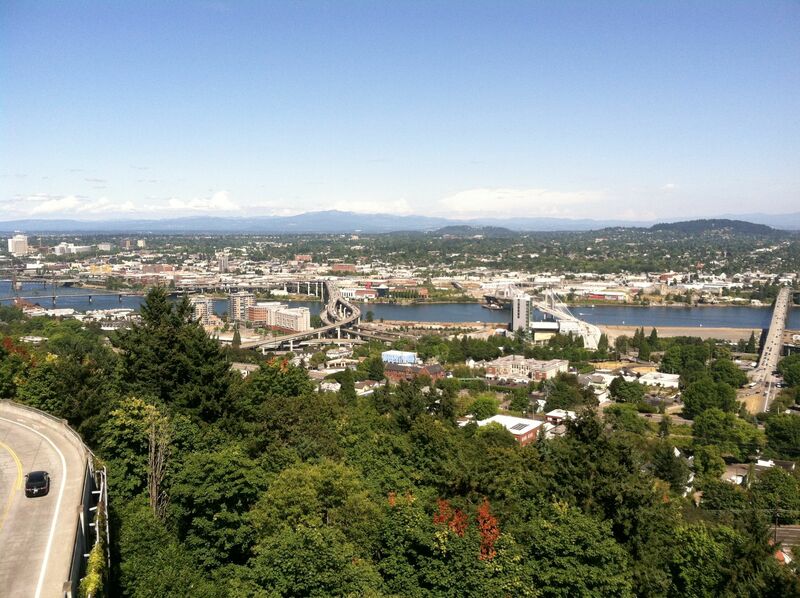 Portland, Oregon, is a place of such great expectations. To Fred Armisen, it’s where the dream of the 90s — tattoo ink, hot girls in glasses, sleeping in, and flannel shirts — remains alive and well. To most, it’s a sort of West Coast Williamsburg (because there has to be a Brooklyn of everywhere). To the couple that morning at our bed-and-breakfast in Seattle, it was some reincarnation of San Francisco in the 1960s. And yet I hadn’t really planned to go there. It was the morning of the last day of my second trip to Seattle, with many hours to kill before a redeye back to the other Washington, we’d decided to drive south Mount Rainier. But, driving south on I-5, you begin to see signs ticking down the miles to the Oregon line and, for us, the prospect of a new state. 170 miles, then 160, then 150, and barely 140 by the time you near Tacoma, where we would have turned inland to Mount Rainier. Poor Rainier didn’t have a chance. Like Portlandia, Portland starts out strong. The weather’s beautiful in summer, there’s a river, there are mountains, there are cool-looking bridges, there’s a light rail as shiny as the sun-speckled Willamette and as progressive as Oregon politics. But, like Portlandia, after an hour or two, it gets boring. I thought I’d like it there. I thought it would be a city filled with my bearded, bespectacled, plaid-bedecked compatriots. And it was. And that was the problem. 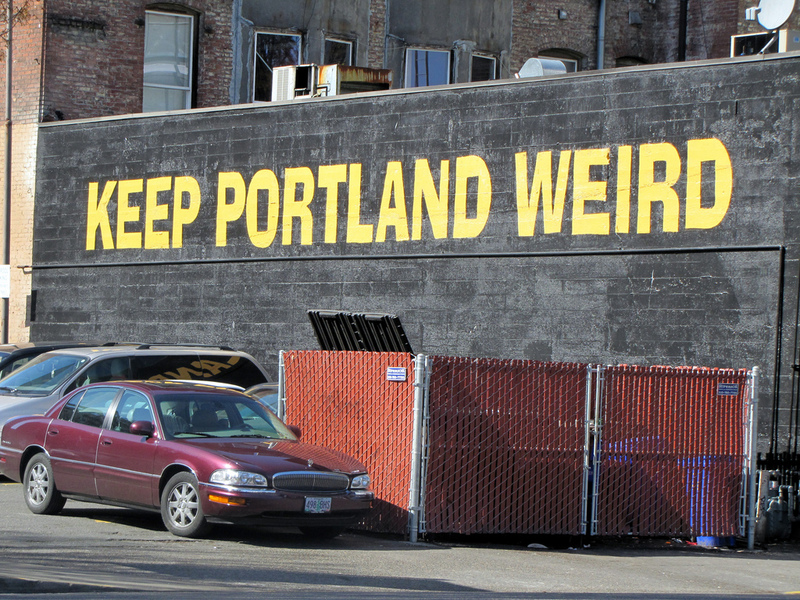 To walk through Portland was to walk through a city of doppelgängers — all thick-rimmed glasses, facial hair, and plaid. It was a game of Where’s Waldo?, and I wasn’t Waldo. In a city that prides itself on its weirdness – wandering through an endless grid of faux-loft condos and organic groceries, an endless stream of lookalikes and a too self-conscious counterculture – I’ve never felt more like a conformist. I think my problem with Portland is that while it has all the things I could want in a twenty-first century city – the transit, the new urbanism, a culture of food and art – it has none of the bad, of the organic, of the alien, of the sharp clash of the mundane and the unexpected that naturally occurs when diverse communities are forced together. The city feels like the product of a focus group of people who all look like me. I could predict every intersection and storefront. Portland felt like visiting a new supermarket – you’ve never shopped there before, but you know exactly where the peanut butter is. I was in the other Portland, the original one (not counting the island off the south coast of England), two-and-a-half months later, in early November, on a quest for the last of the summer’s lobster catch. But what did I know about this Portland? I knew it remained an active seaport. I knew that, despite its relatively small size (66,000 in the city limits, 200,000 in the metro area), it had an active arts scene and a food culture based around hundreds of restaurants. I knew there’d be plenty of plaid and flannel here, too, with the birthplace of L.L. Bean just the other side of Casco Bay. 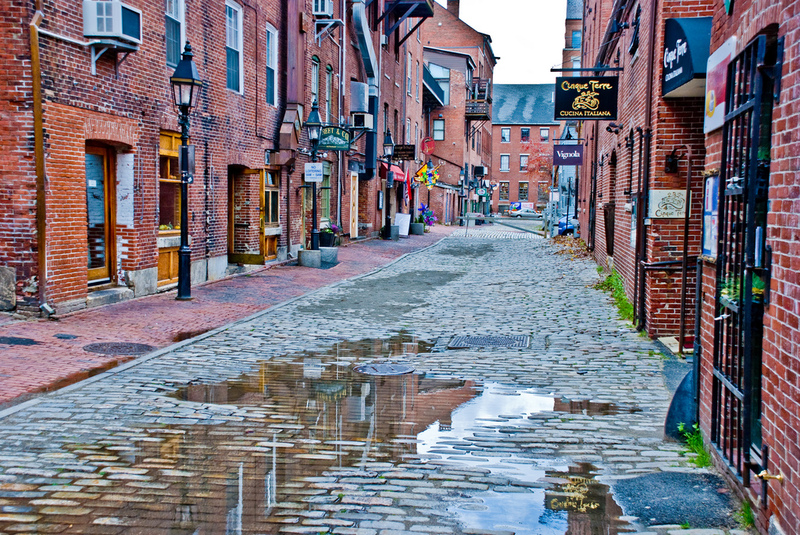 I know that, in all these senses, just as Portland, Oregon, is the Brooklyn of the West Coast, Portland, Maine, could probably be called the Brooklyn of New England. 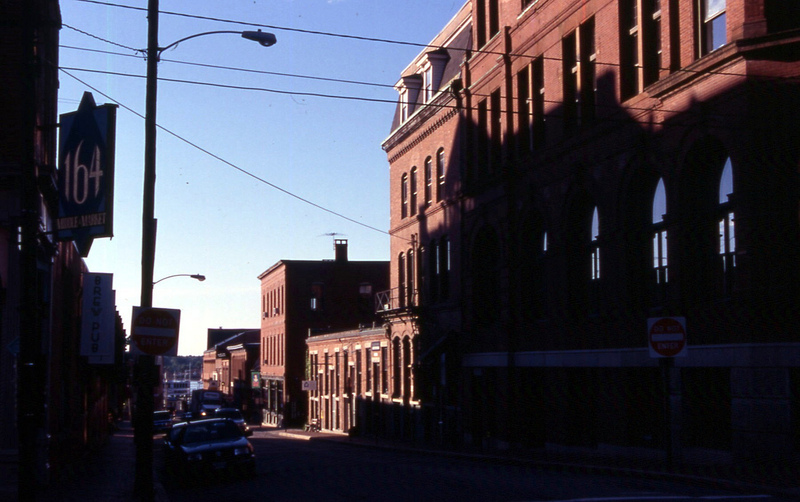 But, unlike the other Portland, I had no real expectations for Portland, Maine. In 2009, Bon Appétit crowned Portland America’s “foodiest small town.” And, just last year, the New York Times remarked it was “no secret” that Portland was a “food-lover’s paradise.” But while it makes a good first sentence, I’m not sure how well known Maine’s Portland really is outside of certain circles. What seems to make this Portland’s dining scene so special is its emphasis on local products. To be sure, in 2014, this is a bit cliché, with every major city and medium-sized city and college town and upscale resort town making a fad of localism. But whereas that generally translates to a a national New American cuisine made with ingredients more often locally grown than necessarily grounded in some native food culture, Portland’s restaurant culture, while certainly not closed to innovation, still feels distinctly Maine. The lobster roll at Eventide, for example, comes on a Chinese-style steam bun. While by no means traditional, the lobster and the bun go together so well that the dish reads as the lobster roll’s next natural evolution rather than some bastardized fusion. Of course, access to some of the planet’s best seafood — from lobsters to oysters to clams to the more than nine million pounds of sea cucumbers shipped to East Asia each year — certainly doesn’t hurt. That localism translates to the other aspects of the city as well. The city has an authenticity that comes from a slow growth percolating over centuries, the clash of new and old, working class and old wealth, land and sea, native and transplant, rather than the calibrated equilibrium of planned comfort. The city isn’t pristine. Antique brick warehouses, filled with touristy bric-a-brac in summer, share the waterfront with active piers smelling of salt air and seafood. Promenades of stately century-old captain’s mansions line promenades only blocks away from typically less pristine New England row houses. Factory workers, fisherman, and professors all share the peninsula jutting out into the Gulf of Maine. I was in each of the Portlands for no more than a few hours. To really know them, I’d need to spend more time in both. But, I think, for the time being, if I had to choose between them my vote would go to Maine. 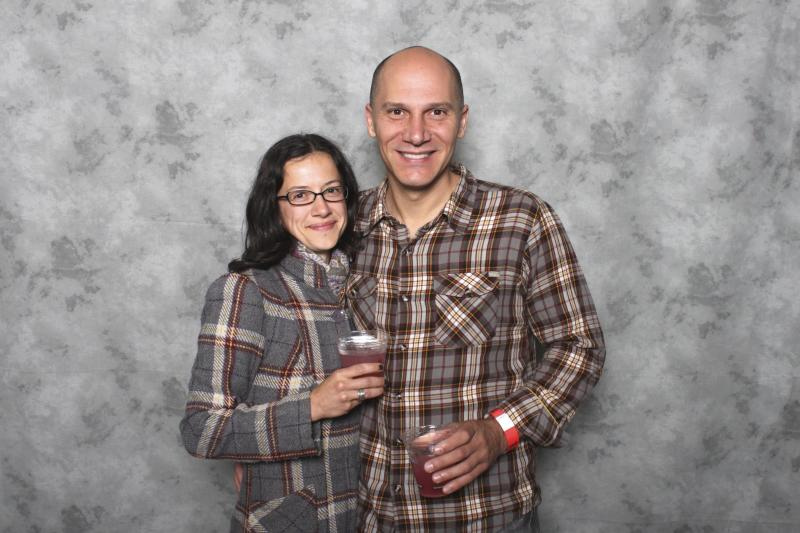 The both sound like good places to be – thanks for the fun post, and what an adorable couple!